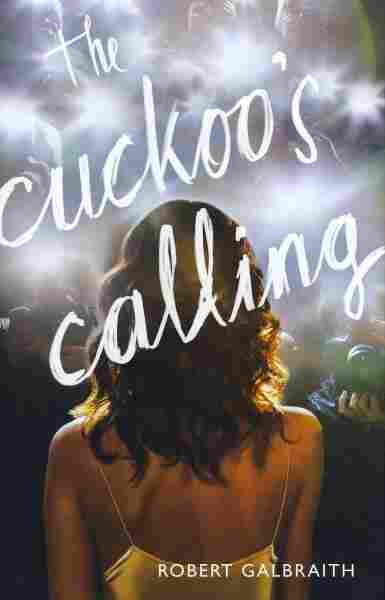 The Only Surprise In Rowling's 'Cuckoo's Calling' Is The Author After "Robert Galbraith" was revealed to be the pen name for J.K. Rowling, many readers have been circling back to a "debut" novel they'd initially overlooked. Critic Maureen Corrigan says the mystery is respectable, but she will shelve it in the "I've read worse, but I've read better" category. 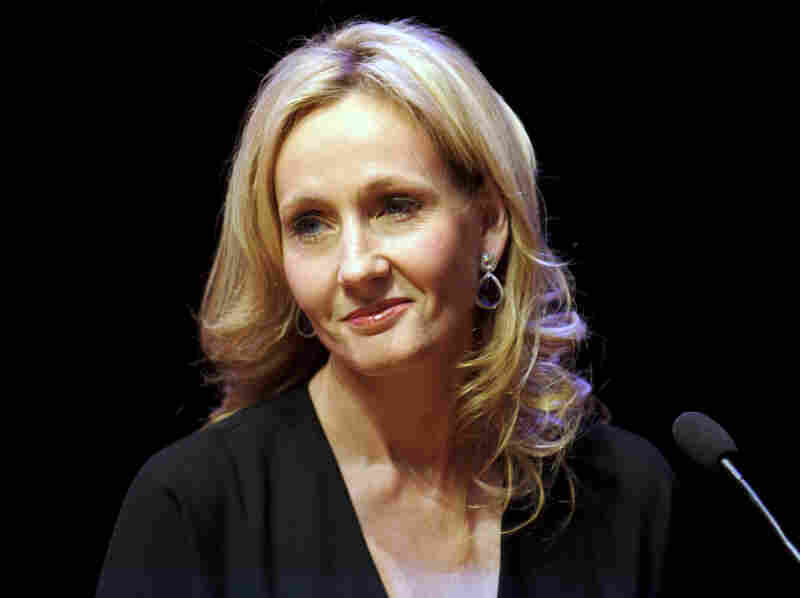 J.K. Rowling recently revealed herself to be the author of the mystery novel The Cuckoo's Calling. Call it "The Mystery of the Missing Book Sales" — and I don't think we'll be needing to bring Sherlock Holmes in to solve this one. In April, a debut mystery called The Cuckoo's Calling was published. It appeared to be written by an unknown British writer named Robert Galbraith, who was identified on the book jacket as a former military cop now working in private security. The novel received some good reviews — Publisher's Weekly, for instance, called it a "stellar debut" — but an unknown author trying to break into an overcrowded genre needs more than approving clichés to make an impact. In the U.K., a mere 1,500 copies had been sold. By last week, the novel was deader than a firecracker stand on a rainy Fifth of July. Then, The Sunday Times of London received an anonymous tip via Twitter that "Robert Galbraith" was actually a pseudonym for J.K. Rowling. The Times, in checking out the tip, ran The Cuckoo's Calling through forensic "stylometric" software and found a strong match with Rowling's Harry Potter books. As soon as the news of Rowling's ruse broke this past Sunday, sales of The Cuckoo's Calling soared. The novel has shot to No. 1 in online Amazon sales and an additional 300,000 hard covers have been rushed into print. Signed first editions of The Cuckoo's Calling are selling for around $1,000 on eBay; I think my unsigned first edition probably got packed off in one of the shopping bags full of unwanted review copies I donated to the library a few weeks ago. So, like hundreds of thousands of antsy Rowling fans who can't wait for the hardcover, I downloaded the electronic version on my Kindle. And you know what? The library is welcome to my review copy and whatever funds it may raise. The Cuckoo's Calling falls into that vast middlin' range of fiction that I mentally shelve in the "I've read worse, but I've read better" category. I couldn't even find a memorable quote from this novel. The only really distinctive thing about The Cuckoo's Calling is its title, which comes from a Christina Rossetti poem. Rowling has written a respectable urban example of what's been called the "Mayhem Parva" school of British detective fiction: The story takes place in a circumscribed setting, it's full of oddball suspects, and the killer is affably lurking in plain sight throughout much of the action. Rowling's private eye hero is named Cormoran Strike: He's an ex-military policeman who lost a leg in Afghanistan. We meet him in the archetypal dumpy office where he passes his days staring into the bottom of a bottle and running to fat. Think Hagrid in a trench coat. Strike's fortunes change when he hires a young temp secretary named Robin Ellacott as his Gal Friday. Also stumbling through the deus ex machina door is a client whose sister, the famous model Lula Landry, has died after falling from the balcony of her apartment. The brother insists it was murder and hires Strike to find out. Investigations ensue. Rowling tries to bring a more contemporary edge to this novel by featuring a beautiful biracial victim and delving into the demimonde of high fashion and hip-hop royalty, but the world here still feels curiously dated. In fact, the first time we glimpse Robin, the young secretary, she's bedazzled by getting an engagement ring affixed to her finger by her stodgy fiance. Throughout much of the story she serves coffee to clients, makes cow eyes at Strike, and tidies up the office loo. The most intriguing unsolved mystery in The Cuckoo's Calling is why, in this post-Lisbeth Salander age, Rowling would choose to outfit her female lead with such meek and anachronistic feminine behavior. No matter, Rowling is laughing all the way to the vault. Another Cormoran Strike novel, in what is already shaping up to be a blockbuster series, is set to come out in 2014. My advice is if you want to read a really spectacular detective story about a victim falling off a balcony, read Michael Connelly's 2011 novel, The Drop, now out in paperback. His hero, Harry Bosch, is to detectives what Harry Potter is to boy wizards: the top of the line.